In The Swim Pool Chlorine Sticks 10 lbs. COMPARE TO BIOGUARD, STINGY STICKS, SUN, GUARDEX, AND PACE. Extra-large 8 oz. 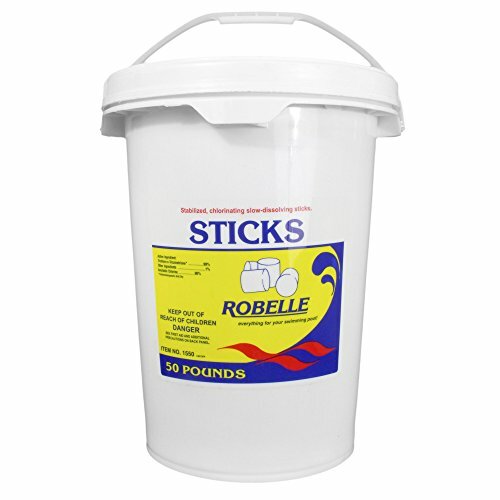 Chlorine Sticks measure 4-1/4 in. long x 1-1/2 in. diameter and are extra slow dissolving. 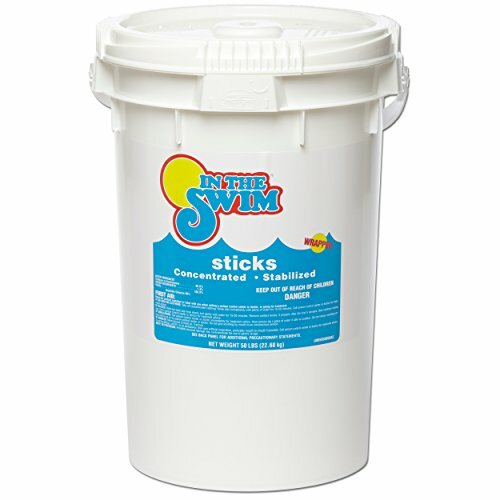 Chlorine sticks work great in floaters, skimmers and automatic feeders. Dosage: Approximately 1-2 sticks per 10,000 gallons of water each week. Powerful 89% available stabilized chlorine, 99% Trichloro-S-Triazinetrione. 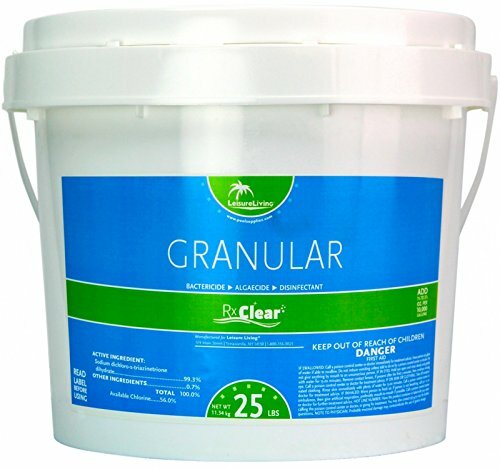 The Best Chlorine at the Best ValueCompared to Pace, Bioguard and Sun the Rx Clear™ brand provides the same performance at a much less expensive costItem Details:15 pound bucketSlow dissolving - 90% available chlorine99% TrichlorEach Tablet weighs 0.5 oz.Use 7 tablets per 2,500 gallons per weekNote: Some of the tabs may be cracked or broken within their individually wrapped packaging due to shipping. This breakage is normal and does not reduce the effectiveness of these tabs. In The Swim Pool Chlorine Sticks 50 lbs. In The Swim Pool Chlorine Sticks 25 lbs. 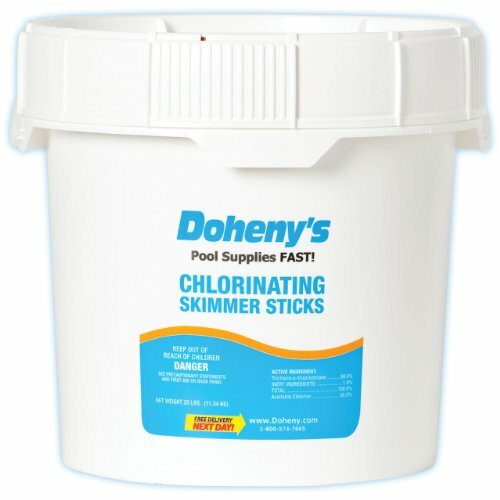 Doheny's Swimming Pool Chlorine-Skimmer Sticks - 10 lbs. 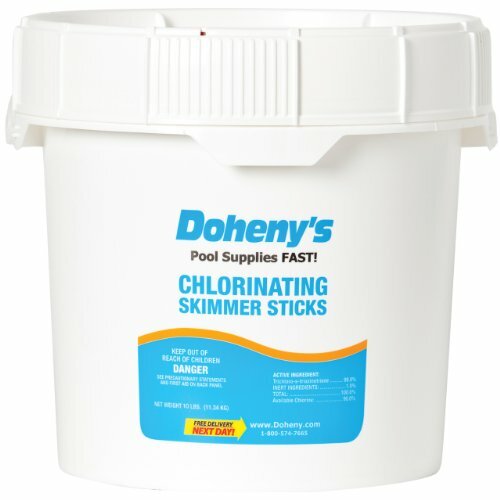 Doheny's Swimming Pool Chlorine-Skimmer Sticks - 50 lbs. 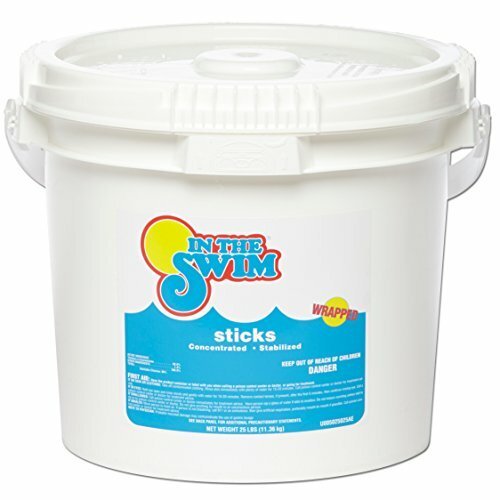 These slow-dissolving 1-1/4" x 1-1/2" x 4-1/4" sticks with 90% available chlorine and 99% active ingredient stop bacteria and algae growth in their tracks. Also stabilized to protect eyes and skin. Wrapped for easy handling. 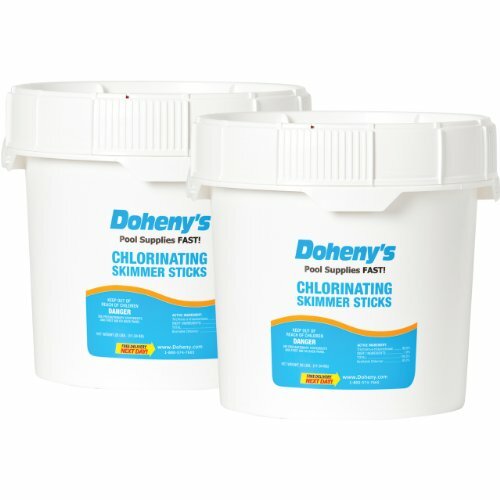 Doheny's Swimming Pool Chlorine-Skimmer Sticks 25 lbs. 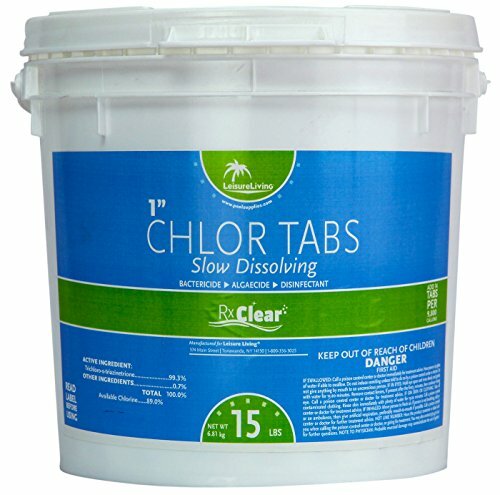 These slow-dissolving 2" diameter x 2.5" long chlorine sticks with 90% available chlorine and 99% active ingredient stop bacteria and algae growth in their tracks. Also stabilized to protect eyes and skin. 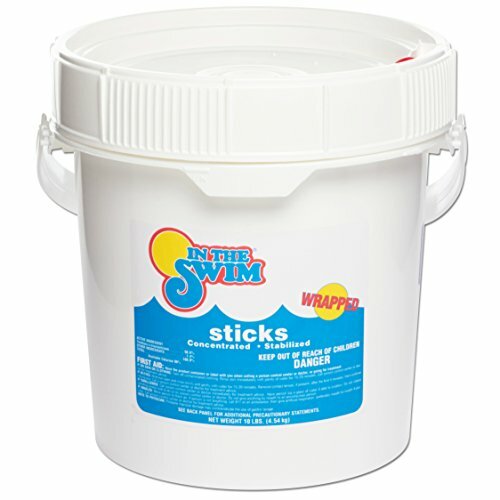 These swimming pool chlorine sticks are slow dissolving and individually wrapped for easy handling. Receive FREE Swimming Pool Care Guide with ANY pool chlorine purchase! LARGE Clear Floating Chlorine Dispenser w/ Thermomter DO IT YOURSELF!!! 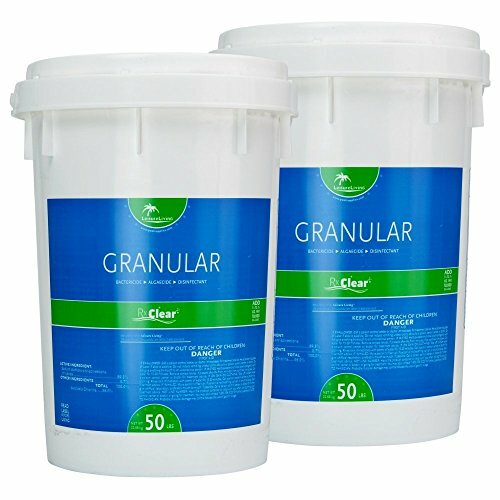 Compare prices on Stabilized Chlorine Sticks at ShopPlanetUp.com – use promo codes and coupons for best offers and deals. We work hard to get you amazing deals and collect all available offers online and represent it in one place for the customers. Now our visitors can leverage benefits of big brands and heavy discounts available for that day and for famous brands.